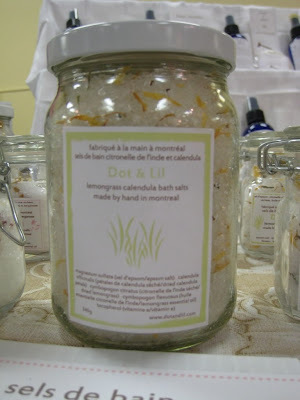 The two varieties that I did make are Bergamot & Rose and Lemongrass & Calendula. 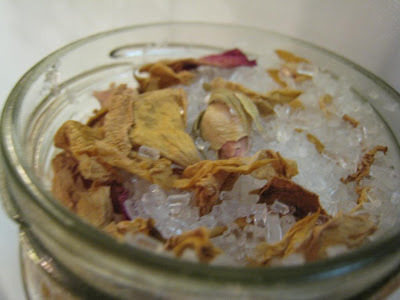 Both have real flowers mixed in and are scented with essential oils. They are one of my favorite products to make because the process is somehow somewhat soothing. 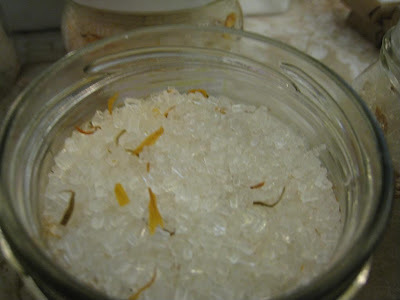 Something about stirring that big huge bowl of salts while pouring in colorful flower petals makes you happy. Or maybe that's just a sign that I'm in the right line of work!